Meringue Cake Studio is owned and operated by Theresa and Jose Zaragoza, with the new addition of the talented Elizabeth Neale! Theresa and Lizzy are Baltimore natives. Theresa went to Baltimore International College in 2003 and graduated with an AA in Baking and Pastry. She has worked in catering and bakeries, mostly specializing in wedding cake decorating. Jose, grew up in Chicago around a huge food scene, and worked many jobs to gain all the knowledge he could. He also took classes at The French Pastry School. Lizzy, with a diverse knowledge and experience in all art aspects made a perfect addition to the team! The three became friends and co-workers in 2008, all having a common goal to own their own bakery one day. The rest is history! 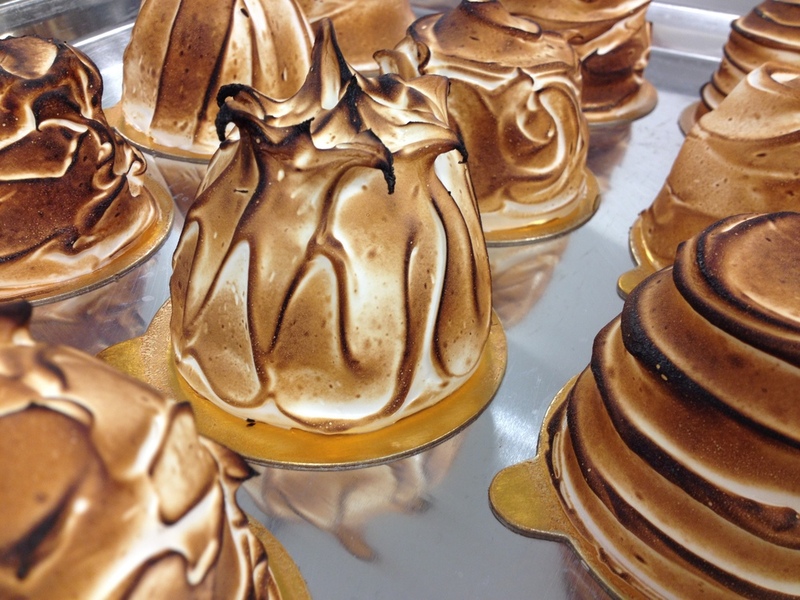 Meringue Cake Studio, Bakery and Cafe has a new location! We are in the Perry Hall Crossing Shopping Center, next to the United States Post Office. Currently, we have an assortment of breakfast pastries, quiche, coffee and tea, desserts by the slice and whole cakes. Availability varies per day. We will soon be offering a hot breakfast and lunch menu. Like us on Facebook and instagram to get updates! Thank you for supporting YOUR LOCAL SMALL BUSINESS!! !